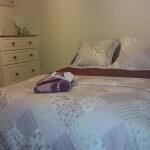 We offer accommodation especially suited for anglers in our Bed & Breakfast, Canal View B&B in Boyle. 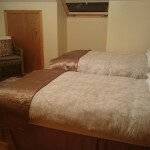 Canal View B&B is a modern , clean and cosy Bed & Breakfast, which has been decorated and furnished to a high standard, with the comfort of our guests in mind. We have a separate lounge for our guests, with TV and an open fire where you can relax after a long days fishing, and an adjoining patio area where one can sit outside and enjoy the scenery. 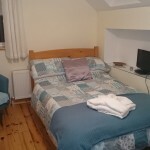 All three guest bedrooms, (two of which are en-suite) are in the upstairs of our house and are newly furnished with flat-screen TVs, tea and coffee making facilities,free wifi, central heating and comfortable beds. 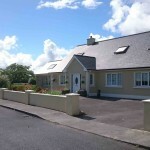 We offer a choice of breakfasts from the famous “Full Irish” to more continental choices. Early breakfasts for an early start are available on request. 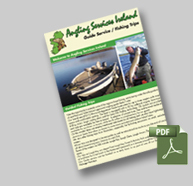 Anglers can also avail of our packed lunches for their long fishing days. Free Wifi, a drying room and tackle storage is also available to our guests and there is ample car parking available too. We are situated in a scenic location close to the Boyle river and Canal and only a 20 minute walk away from Boyle town with all it’s amenities. 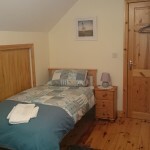 We can accommodate up to six persons comfortably in our house, for larger groups we can arrange additional or alternative quality accommodation with some of our colleague B&B providers in the area. 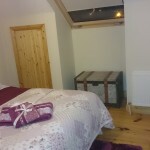 For those who prefer the solitude and flexibility of self-catering accommodation, we can arrange that too, as usual, with some of the best providers in the area. 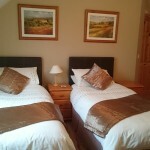 Regardless of where you are going to stay, if you would like your meals included in your package, please ask us. We have teamed up with some of the best Restaurants in town in order to offer you the option of booking Full-Board at a reasonable rate. This way you can rest assured that you get a good hearty meal every evening after your hard days fishing. We can provide packed Lunches or alternatively the guide can also prepare a cooked Shore Lunch during your day on the water.